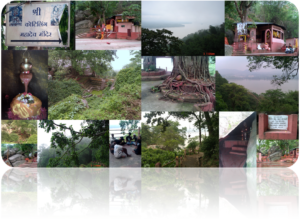 Kotiling is one of the five satellites Shiva Dham on the north side of Kamakhya hill (Neelanchal), dates back to 1565 AD (Archaeological survey). Ling is inside a cave and there are images of Lord Ganesh on the stone. Parushuram kund is on the east side of the entrance. After renovation with steps and shelter for priests and devotees, it has become one of the well known places for Shiva worship. Facing Brahmaputra River on the north, away from civilization makes the place worth visiting.